Not only does a wooden floor give you a lot of warmth but it also brings a high amount of flexibility with it. These two aspects are not only positive for the health of an athlete but they also help him to boost his performance to a maximum. In addition to all the advantages of building with natural materials our systems allow sanding down and re-sealing, hence prolonging the durability. 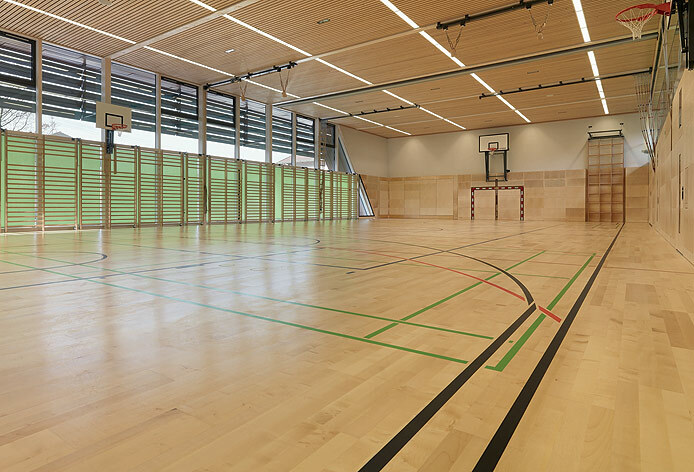 All the basic requirements of modern sports flooring are exceeded and can be confirmed by official test reports from authorised instituitions.